In a campaign speech in Charlotte, N.C., Donald Trump laid out a “new deal for black America” that he claimed would bring prosperity to inner cities. While the pitch probably didn’t win him very many minority supporters, Trump’s recognition that urban investment can yield “yuuuge” results was spot on. In fact, the positive effects of urban investment would not only benefit inner-city residents, they’d also reap rewards for investors via social impact investments. But there’s a form of impact investing that’s right up the alley of staunch conservatives and is consistent with the idea of Trump’s speech. It’s perfect for such right-leaning, elite, one-percenters (and investors) as Sheldon Adelson, Peter Thiel, Robert Mercer, and the Koch Brothers. What is this investment? It’s the teaching, expanding, and development of urban entrepreneurship. 1) Supporting urban entrepreneurship reflects conservative social values. Self-reliance and hard work are key tenets of conservative belief. By backing programs that teach, endorse, and share these ideologies with aspiring business owners and employers in inner cities, conservative one-percenters would be aiding and inspiring individuals who would embrace them wholeheartedly. 2) Investing in people who are buying property and doing business deals in urban areas is consistent with conservative fiscal values. Conservatives believe in the power of the free market, and that a rising tide lifts all boats. Urban entrepreneurship offers the opportunity for nascent business owners to learn and prosper — which would inspire other nascent business owners to pursue similar paths and have their fortunes lifted as well. The result would be a hyperlinked web of free-market adherents who would seek to spread the gospel of their newfound awareness (and improved finances) with friends, family, and neighbors. 3) Urban entrepreneurship creates jobs, improves neighborhoods, and stabilizes families. 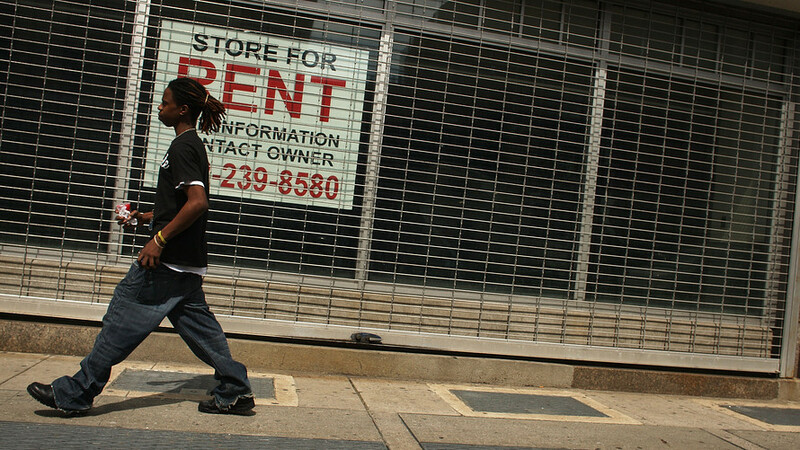 While major development projects in cities such as Baltimore, Chicago, and Newark have revitalized downtowns, they haven’t delivered enough benefits to surrounding neighborhoods, which continue to be challenged by high unemployment, crime, and poverty. By supporting urban entrepreneurship and the building of businesses in inner city neighborhoods, conservative impact investors can take credit for stimulating improvements in hard-to-reach urban locales and reducing the need for social and government programs. 4) Supporting urban entrepreneurship is profitable. Research released by J.P. Morgan and the Global Impact Investing Network suggests that organizations that pursue impact investing at significant dollar levels are “satisfied” with their financial returns — which is an important validation on the sector’s ability to deliver results at scale. Huntington Capital Fund II, a San Diego-based growth capital fund, reported a 13.8% net internal rate of return on its investment in small and medium businesses in underserved areas of the Western U.S.
“Social impact investing” may not be a term that sits well on the tongues of conservative one-percenters. But entrepreneurial investing, especially when it relates to the education of, development of, and positive results that can be created by prospective urban business owners, is 100% consistent with their world view, as well as that of Trump. It makes sense and, most importantly, it makes money. And for investors, green is green, whether you’re a liberal leftie investor or a conservative one-percent investor. Lyneir Richardson is the executive director of the Center for Urban Entrepreneurship and Economic Development (CUEED), a research and practitioner-oriented center at Rutgers Business School in Newark, N.J.